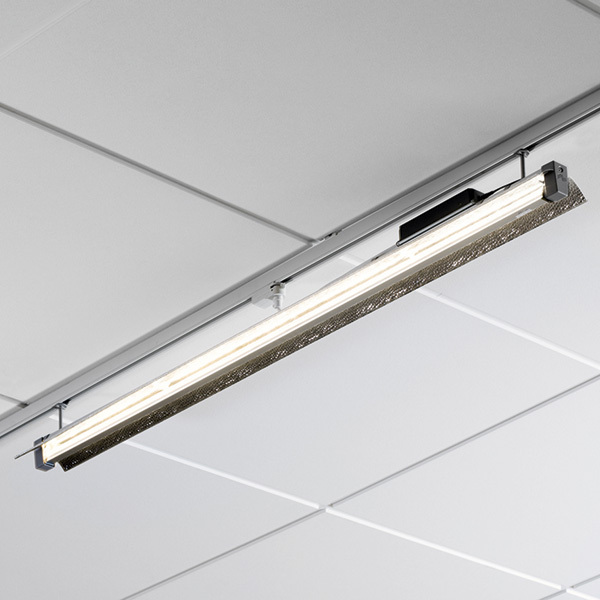 Linear down light for LED tubes. Reflector with flood beam spread. Housing of Poweder painted aluminium.